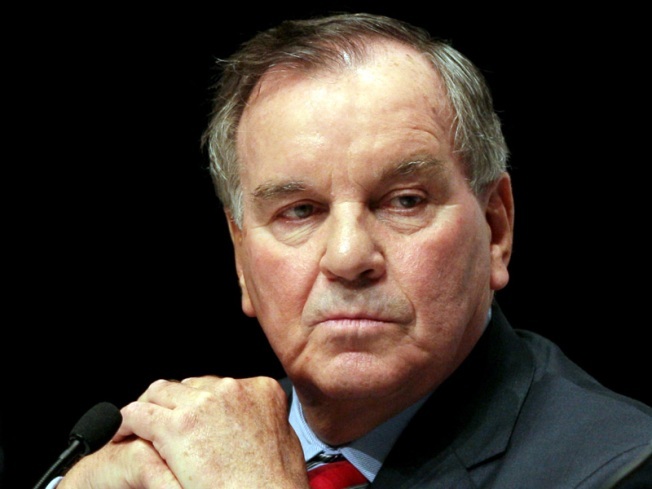 Chicago's Mayor Richard Daley says he won't raise taxes. Mayor Daley today said that he wouldn't respond to a recent report that floated the idea that President Obama's Chief of Staff, Rahm Emmanuel, was angling to run for mayor of Chicago. "I don't read gossip columns," Daley said at a press conference at Hitch Elementary School. "I'm not responding to gossip." The idea was floated Tuesday by Washington Post columnist Sally Quinn, who argued that Rahm may not have fired Desiree Rogersbecause he needs her support for a shot at Chicago's fifth floor. The White House issued a non-denial denial, saying that Rahm was 100 percent focused on his current job. But the idea has been pilloried by the local press, especially by the Chicago Tribune's John Kass, who argues Rahm is too embedded with Daley and local politicians here to consider an end-run for the mayoralty. At the press conference today, Daley also reacted to the report that the Chicago Police Department is considering axing the entrance exam to boost minority enrollment. "Haven't heard anything about that," Daley said. Mark Donahue, President of the Fraternal Order of Police, said ditching the exams sounded like a bad idea. "It's an idea that sounds ridiculous," he said. "With all that is going on in the world in dealing with public security, you'ld want to enhance the processes instead of reduce the processes."